30 Days of Classical, Day 18: Help us, Antonin! The power of the music critic has certainly declined over the past 140 or so years. Back in 1879, a critic could actually cause music to happen! The big highlight of the Prague social calendar was coming up at the end of December: the Narodni Beseda Annual Ball. 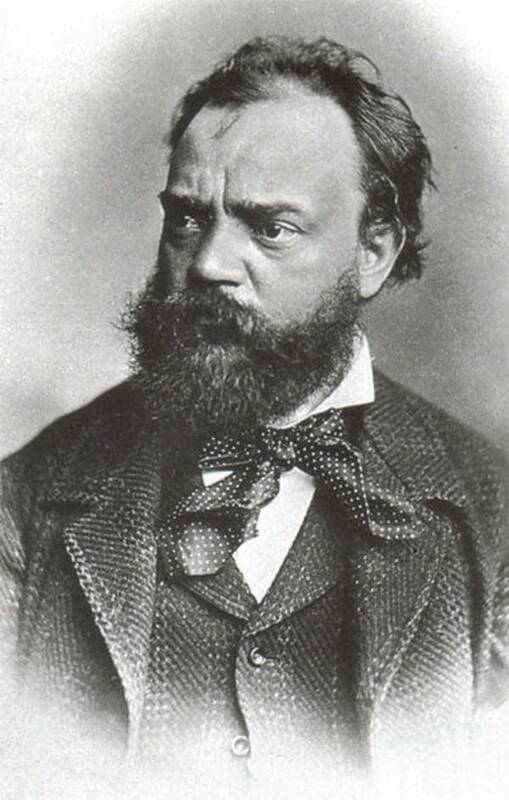 A music critic in a local magazine went ballistic about the awful state of contemporary Bohemian dance music, and the organizers of the ball, reading the article went to Antonin Dvorak and said, "Help!" The Narodni Beseda Annual Ball went off without a hitch when the 36th Infantry Regiment Orchestra played Antonin Dvorak's quickly composed "Prague Waltzes" that evening.